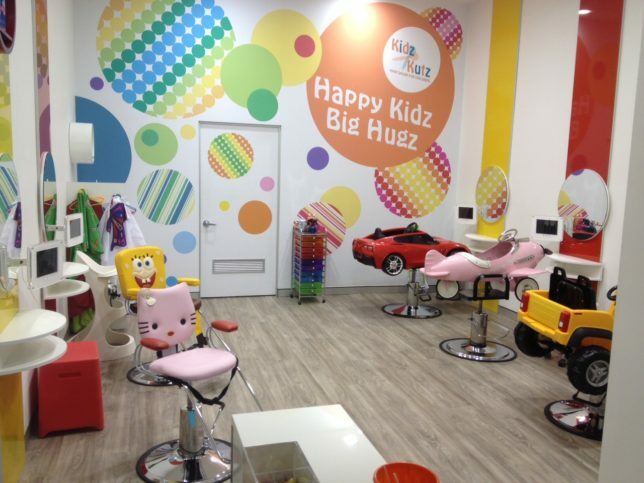 Kidz Kutz WA is a kid-friendly hair salon located in three locations across Perth, Western Australia. As parents of three little rascals who have been through the nightmarish experience of the simple task of hair-cutting, we founded our salon to take the stress out of haircutting for parents and create an enjoyable experience for kids. We really want to provide a fun, safe and entertaining environment for children, which includes eliminating noise from hairdryers and smells from chemical dyes. What brought you to Vend? Our accountant who is a big fan of Xero, the accounting software we use, recommended us to Vend. It’s perfect as Vend ‘communicates’ with Xero at the backend so all our sales automatically update in Xero so we can see our financials and cash-flow really easily. How did you find set-up and what’s your set-up like? Our three salons use iPad connected to Tyro for payments and Vend as our point-of-sale. We worked with the team at Cloudifi, a POS and cloud integrator who are experts in setting up these kinds of systems. We outsourced the entire POS set-up across the three salons to them which meant we didn’t have to worry about anything. Like any new businesses, there were a few small hiccups at the beginning but once it was all up and running, it was pretty smooth sailing! Our passion is guided by our four key values. Firstly, to support parents and carers. We want to help them give a positive haircutting experience to their children, with guidance from our caring and experienced operators, who are mums themselves. Secondly, we want to make kids happy and create an environment they want to come back to. We also want to encourage mums and grandmas back into the workforce, so we provide a flexible and open workplace where they can feel comfortable every day. And we want to contribute to society. We strongly believe in giving back, especially to children’s causes, be it via charitable deeds or donations, within our means. Along with Vend you use Xero for accounting, how have they helped your business? We don’t have to spend time manually managing our accounts. Our accountant is able to remotely manage our finances, or can quickly look into to any issues on our behalf, which is extremely convenient for all of us. Plus, as we have multiple stores that we need to manage simultaneously, Vend lets us see at a glance how each salon is performing in real-time. And we can even see sales reporting broken down by each salon’s performance, so we can better manage each store individually too. The post Vender of the Week: Kidz Kutz appeared first on Vend Retail Blog.